Most of us are familiar with the idea of paying a little more to board a plane before the rest of the passengers — or at least immediately after First Class… and then Business Class… and then passengers with lots of frequent flier miles… and then travelers with certain kinds of credit cards… but then those who paid a little extra. But when it comes to deplaning, passengers generally have to wait for all the rows in front of them to clear out before they can exit. Would travelers be willing to pay yet another fee to get off the plane before others? 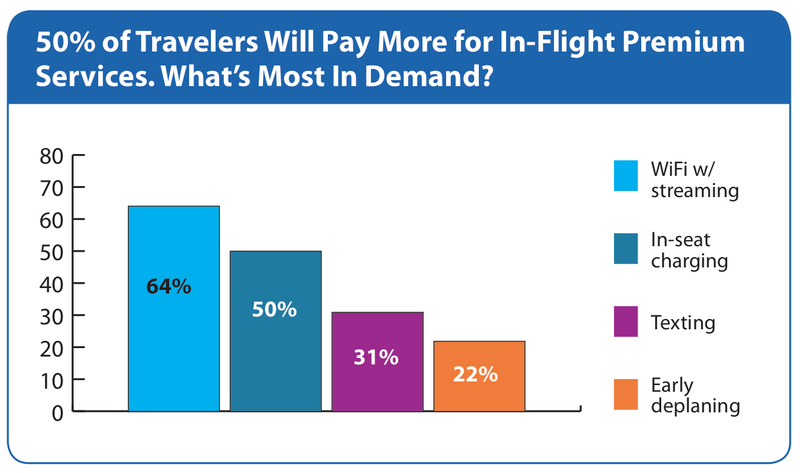 That was one of the questions asked in a recent survey from Flightview, which found that 22% of respondents would be willing to ante up some additional cash to exit the plane ahead of their fellow passengers. Of course, the logistics of trying to enforce early deplaning may be too difficult to make it a reality. First and Business Class passengers already enjoy this privilege by the simple virtue of being closer to the front exit than Coach. A number of airlines are also already charging more for the first row of Coach because of the extra legroom afforded by not having anyone immediately in front of them. While airlines could push “early deplaning” as another reason to pay more for these seats, we have a hard time imagining someone paying extra for a feature they already enjoy. Would flight attendants hold back these rows from deplaning simply to rub in the fact that they didn’t pay a second fee? And if the airline charges this fee to passengers farther back in Coach, we don’t envy the flight attendants who have to tell 150-200 tired travelers to sit down and wait while some people who paid a few bucks more get to go up the aisle first. At the very least, it would seem likely to slow down the deplaning process even more. • Nearly 2/3 (64%) of respondents said they would pay even more for WiFi access that would stream video. • Half of us would be willing to fork over some cash for the ability to charge their devices at their seats. Some planes, especially those that fly internationally, already have seats with plugs. Let’s just hope the airlines don’t realize they can start charging more to turn these outlets on. • Since calling another human being on the phone is a dead art, around 1/3 (31%) of respondents are okay with the idea of paying a fee to text their pals on the ground. Could Badly-Behaved Airline Passengers Lead To A Better Flying Experience For Everyone?